Thought straightening your hair meant damaging it? (Us too, if we're honest...) Think again! 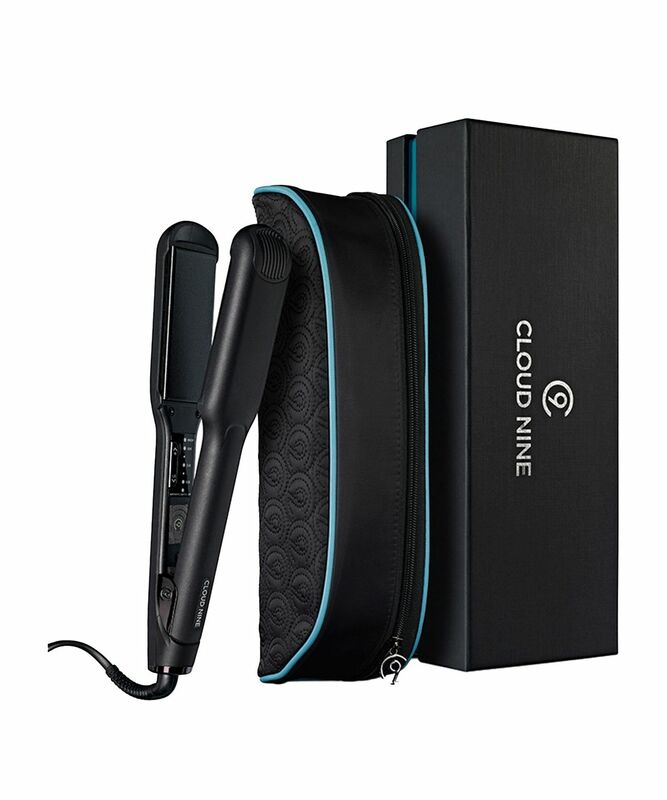 Cloud Nine’s innovative styling tools deliver exceptional results without the damage, thanks to temperature-controlled, mineral-coated ceramic plates, which glide over hair without snagging to leave locks looking (and feeling) smooth, soft and conditioned. 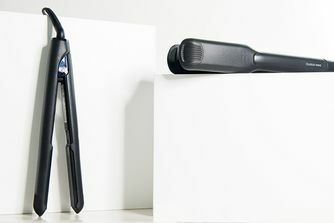 The Wide Iron is ideal for long, thick, unruly manes, with five temperature levels to choose from to suit your hair’s needs to a tee. 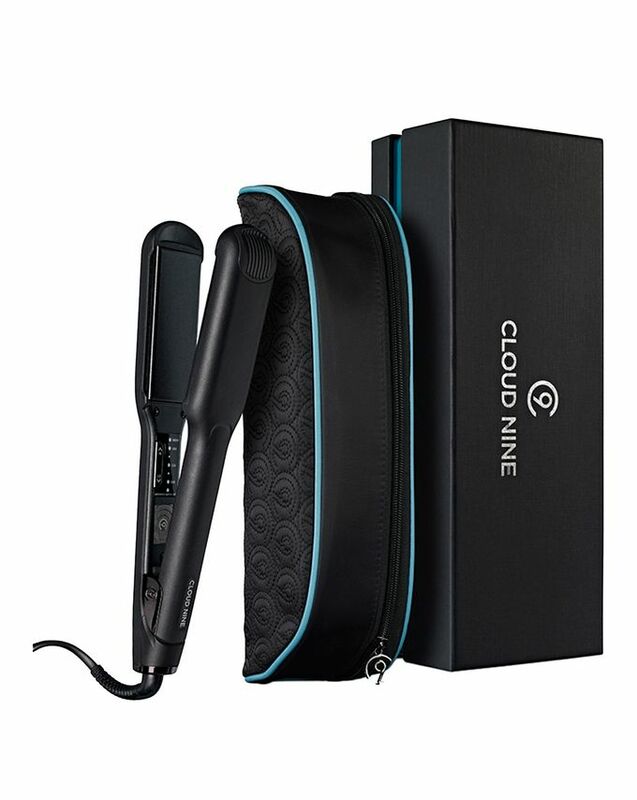 The Cloud Nine Wide Iron will change the way you style your hair, thanks to innovative technology and award-winning results. The floating, mineral-coated ceramic plates are proven to be kinder to your hair, cushioning impact and gliding over strands without snagging to leave them looking – and feeling – conditioned and cared for. The plates also emit negative ions (anions) which help to lock in moisture, seal the hair’s cuticle layer and minimise damage to hair’s natural structure; this edition is wider to suit long, thick hair and tame even the unruliest manes. As well as this, a temperature control feature allows you to choose from five different heat settings to suit your hair type – you can set the iron from 100 to 200 degrees and, whatever temperature you set it, it will heat up within an impressively swift 20 seconds. Thanks to unique Smart Technology, the iron intelligently functions to maintain your chosen individual styling temperature. The plates measure 4cm in width and 9cm in length, while the cord is 2.6m in length; you’ll also receive a protective heat guard and a luxury heat resistant carry case, so you’ll never have to be without your trusty tool! Use to straighten and curl hair, working in sections. Все отлично,давно хотела этот продукт!! !У меня длинные густые волосы.Большое спасибо! *** Everything is fine, I have long wanted this product!!! I have long thick hair. Thank you so much! My natural hair is really frizzy and so far nothing I've tried has been able to keep it straight all day. Love these straighteners as they keep it smooth and sleek. Quite pricy but worth it.